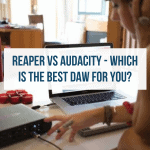 If you are a guitarist who is working with a tight budget, you’re probably not able to afford a high-quality professional tuner that’s going to last you years and years. That’s totally okay, too! Since smartphones have such a heavy influence in our lives, some companies have decided to take their market to the whole new level. 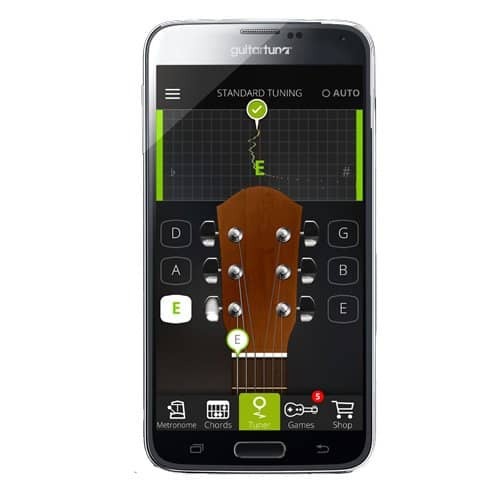 Some companies have decided to introduce guitar tuners to smartphones, making a professional quality guitar tuner available at the touch of a few buttons (and free to download)! Guitar Tuna claims to be the number one tuning app in the world and we can’t blame them for claiming that title. Not only does Guitar Tuna have a beautiful setup, but it also functions very well. The actual interface of Guitar Tuna is very visually accurate, but what we should be really talking about is how accurate this tuner is. If you’re a beginner who is looking to develop your aural training, Guitar Tuna also has a training mode to help you develop that skill. There are some additional purchases that you can make inside the app, but to download Guitar Tuna, you won’t need to spend a single penny. Also, there are additional tuners for bass guitar, mandolin, banjo, and twelve string guitar on Guitar Tuna. If you’re an experienced guitarist who is looking for a chromatic tuner, you’ve come to the right place. Clear Tune is a chromatic tuner that comes with a pitch pipe that’s been built in. 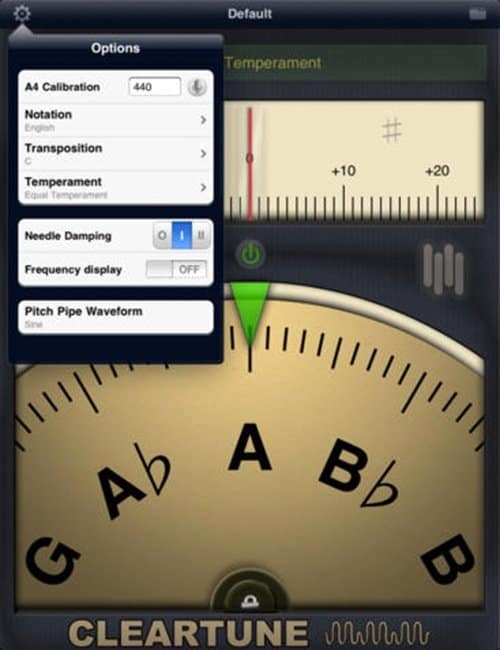 Also, Clear Tune has a meter that helps you to fine tune you or your instrument to find the perfect pitch or tune. There are several features that are built in with Clear Tuner and those features are: Adjustable calibration, solfege notations, transposition (which is really helpful if you’re playing in a band that has instruments that play in a different key), and custom temperaments. Not to mention, you can any instrument that has the ability to sustain a note with Clear Tune- any woodwinds, piano, any brass, tablas, bowed strings, acoustic guitar, electric guitar, bass, and even vocals. Clear Tune was designed with the wants and needs of professional musicians in mind, but this app is simple enough to be used by beginner musicians. 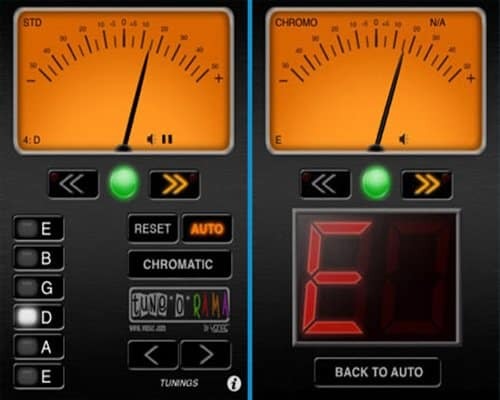 Pano Tuner is one of the most commonly used tuners on both Android and Apple devices. This easy to use app provides users with consistent tuning. 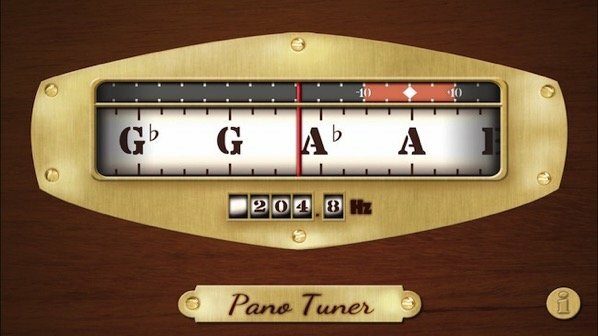 Users also talk about how much they like how Pano Tuner allows players to customize their settings; Pano Tuner allows players to dial in on creating precise settings for both live performances, close jam sessions with your guitar friends, and practice sessions with just yourself. Despite all of the positive reviews that people have left the Pano Tuner, it does come with its fair share of complaints. The biggest complaint that people had about this app is that the advertisements got annoying, but Pano Tuner allows you to upgrade to the pro version for a $1.99 to not only receive additional tones, but to use the app ad free. Tune O Rama doesn’t have a lot of extra features installed in it, but for what it lacks in features, it makes up in accuracy. 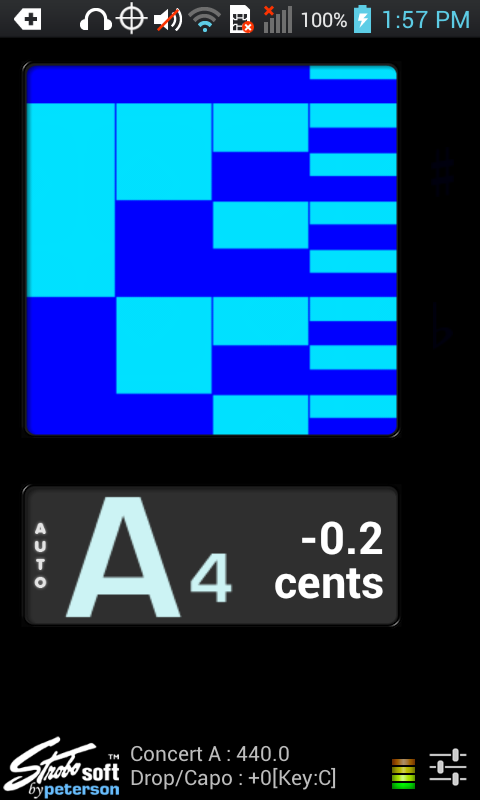 For $2.99 you can purchase yourself an incredibly accurate tuner for very little money. This tuner has been specifically designed for bass and guitar. While Tune O Rama does have a built-in chromatic tuner, the automatic tuner is what is impressive about this app. The automatic tuner users a four tier detection algorithm that really helps to provide users with an increased sensitivity, as well as accuracy. 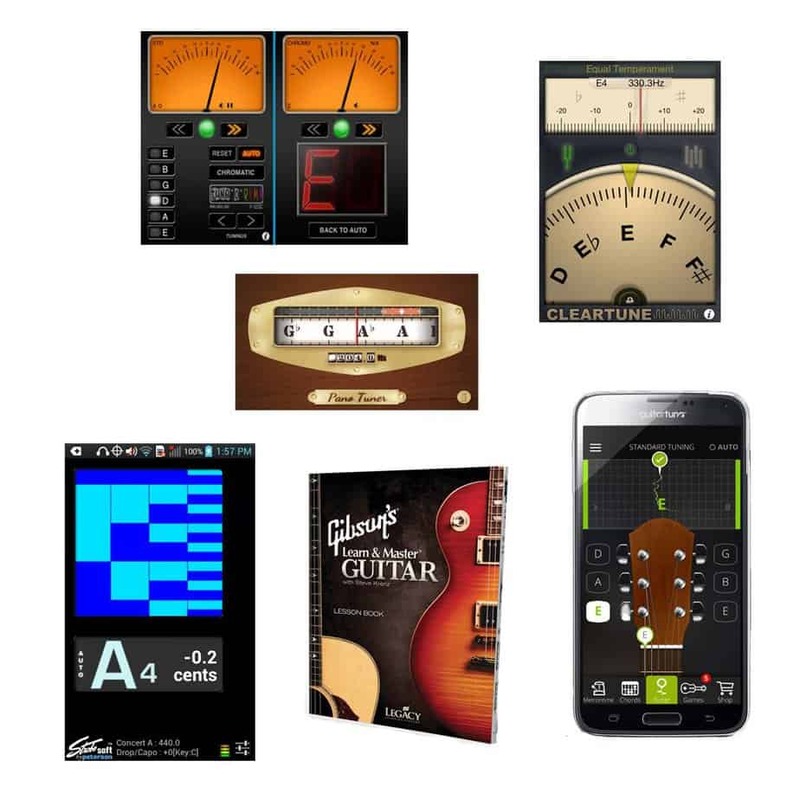 Gibson partnered with Legacy Learning Systems to provide beginning guitar players with the only guitar tuner that they will ever need. This essential guitar tuner comes with a chord library, a guitar tuner, and a metronome, as well as a handful of full-length guitar lessons that are completely free. 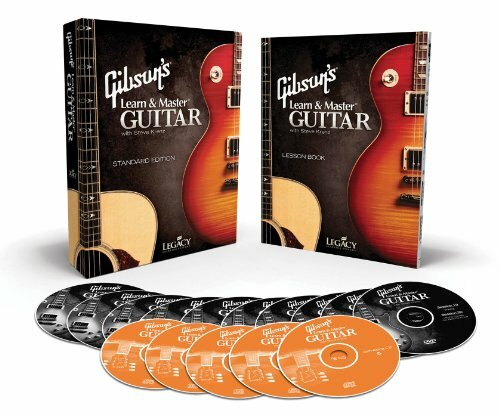 These lessons are from Gibson’s Famous Learn and Master Guitar course; the best part of this app, that you can get all of this, for free! IStroboSoft is one of the most accurate guitar tuners in the App Store and that is because of the strobe displays that are known for their incredibly accurate tuning. Do you need a Jazz Guitar to Play Jazz Music?